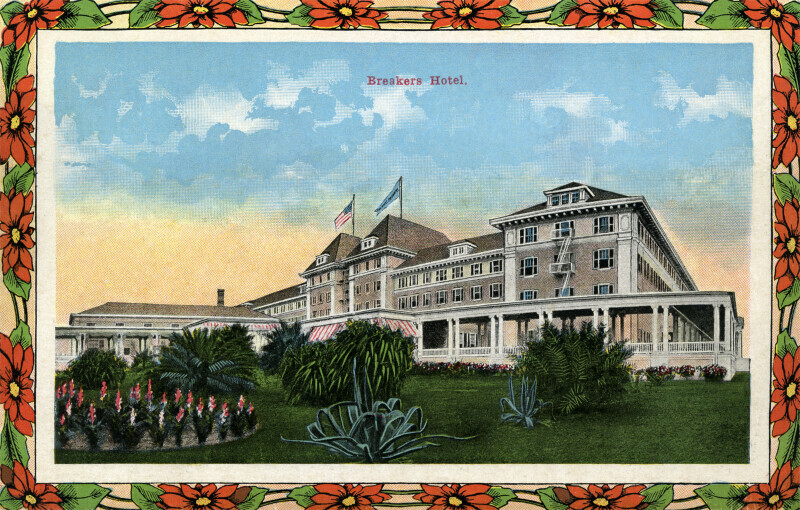 This four-and-a-half story building is the Breakers Hotels. There is a porch, with white railings and columns, wrapping around the ground floor. The roof is hipped, with some shed style dormers visible. The grounds are landscaped, with palms and flowering plants visible in the foreground. There is an American flag and a pennant flying from the roof. WARNING: You are about to download a 13.5 MB TIFF!